Any excuse to drink green beer! HAPPY ST PAT’S! Don’t worry, be Irish! Greetings from this Irishman. For today, every green beer that you say no to a little baby leprechaun dies. Happy St Pat’s. Happy St Pat’s Day!! But to be sure… Happy St Pat’s Day!! Happy St Patties! I’ll drink a green beer to that! I love green but I love you more — Happy St Pat’s Day! If it’s all green it’s all good! Happy St Patrick’s Day. If you were green I’d still love you. Happy St Pat’s! It’s all green which means it’s all good! Happy St. Patrick’s Day! Luck comes to those who drink green beer! HAPPY ST PAT’S! One Guinness, two Guinness, …10 Guinness. Happy St Patrick’s Day! A pot full of St. Patrick’s Day wishes for you on this wonderful day! 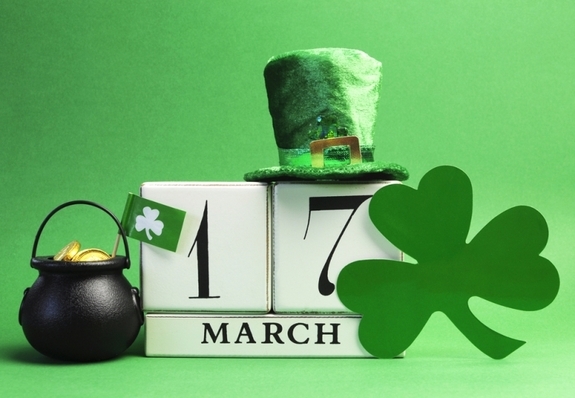 Celebrate the luck o’ the Irish today and every day! A shamrock is a sign of the Holy Trinity’s love. Celebration and cheer on St. Patrick’s Day! It’s time for the wearing of the green. For those interested in Irish Ireland and St. Patrick.